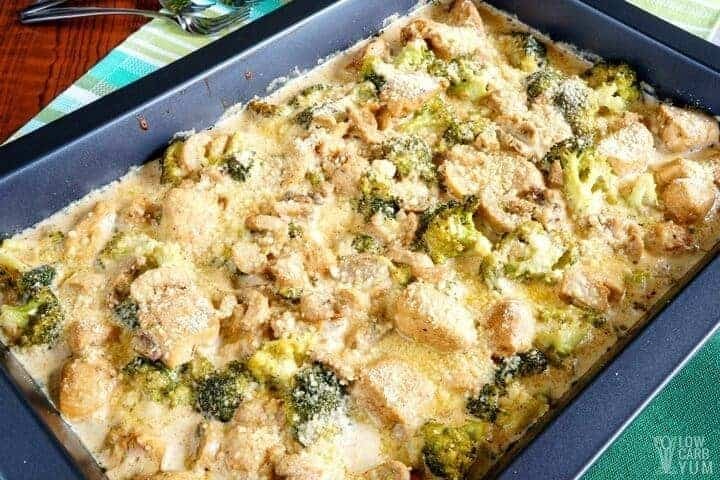 A very quick to prepare low carb chicken broccoli casserole with cream cheese. It’s made completely from scratch without relying on a canned soup base. 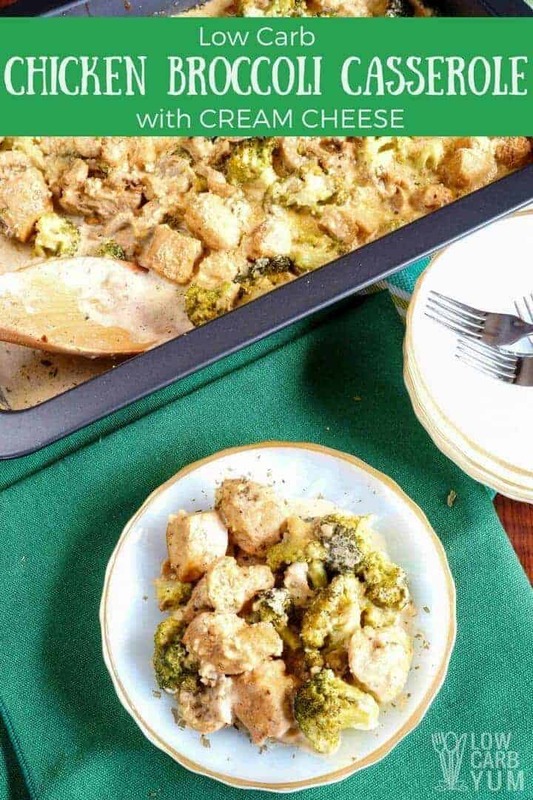 I had been looking for a chicken broccoli casserole that doesn’t use any canned soup. Why? Because they typically contain starches that aren’t appropriate for a lower carb diet. Not interested in this casserole? 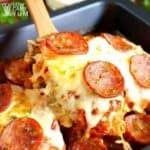 Check out my other low carb casseroles. 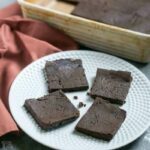 So I started looking for alternatives to make a thick creamy casserole using only whole food ingredients. It didn’t take long before I found a few recipe ideas. 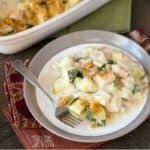 I created a low carb chicken broccoli casserole with cream cheese and chicken recipe based on a similar recipe from an old cookbook in my collection. One change I made was adding some parmesan cheese because I like the flavor it brings to both chicken and broccoli. Next time, I may sprinkle some crushed pork rinds on top to give it a little crusty topping. And, it would prevent the chicken and broccoli from browning in the oven. 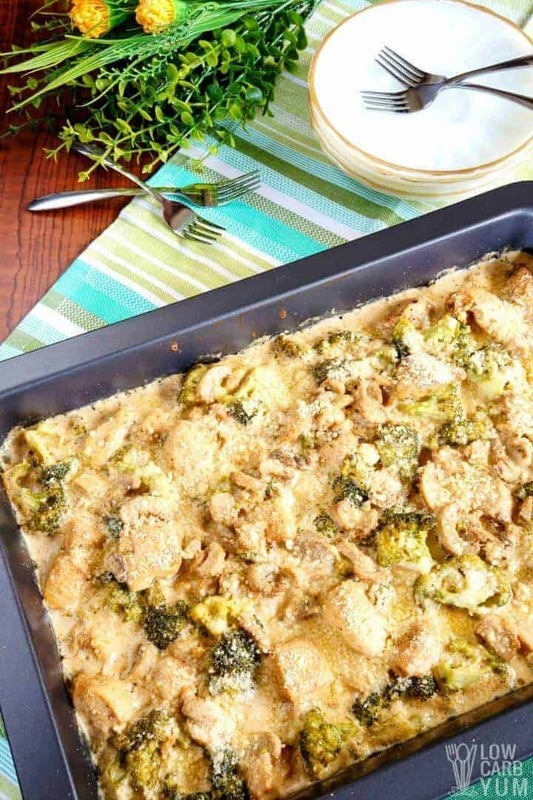 If you have any keto bread in the refrigerator or freezer, it would also make a good crumbled topping fort this low carb broccoli casserole. 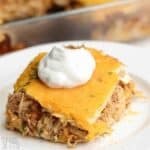 Like most casseroles, this one is super easy to throw together. I did brown up the chicken first before baking. But, I’m not sure if that’s completely necessary. I needed to cook up the mushrooms anyway. And, it’s probably best to melt down the cream cheese into a creamy casserole sauce first. 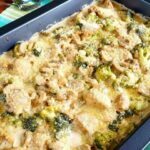 There could be some adjustments done to make this low carb chicken broccoli casserole with cream cheese and chicken even easier to make. I’m pretty sure it could be done in the crock pot or Instant Pot pressure cooker. To slow cook, all you’d have to do is toss all the ingredients in. Then, let it sit in the crock pot for 6-8 hours on low. The pressure cooker would be very similar. 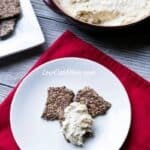 You may want to add in the cream cheese and sour cream at the end of cooking because of the dairy. 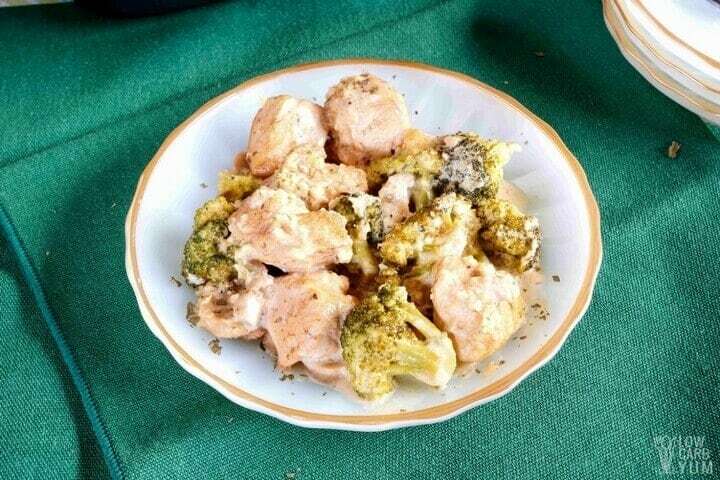 You’ll love that there are no fancy ingredients in this simple low carb broccoli casserole with cream cheese recipe. You’ll be using food that’s easy to find in any grocery store. My whole family loves this casserole, but I make it for them without the mushrooms. The kids and my husband don’t care for them. 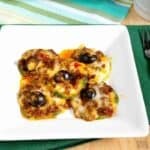 This dish makes a wonderful weeknight meal. 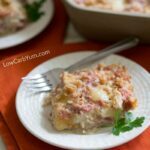 For other low carb casseroles, check out the collection here. 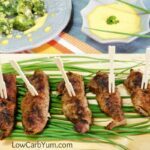 Broccoli is one of my favorite low carb vegetables. And, it goes perfectly with chicken. 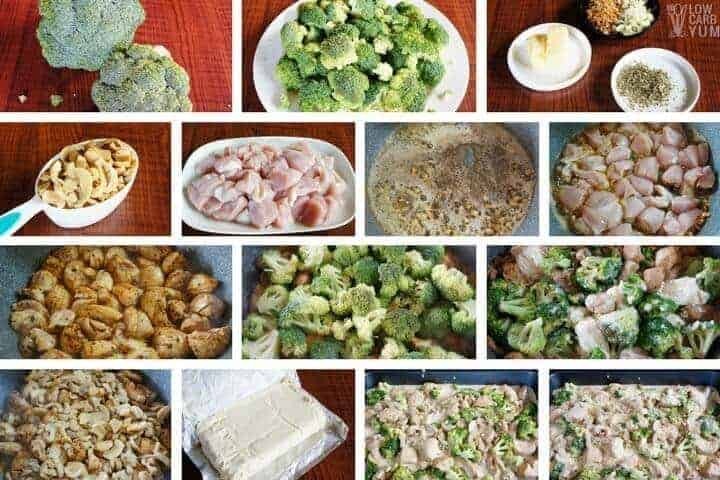 What’s your favorite dish to make with broccoli and chicken? 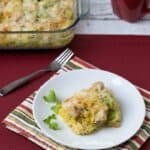 A very quick to prepare low carb chicken casserole that is made completely from scratch without relying on a canned soup base. 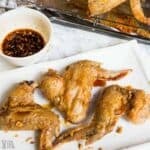 Slice chicken into bite sized pieces. Cook chicken with garlic and onion in olive oil and butter until no longer pink. Cook and stir over medium heat for about 10 minutes. Pour into 9×13 casserole dish.